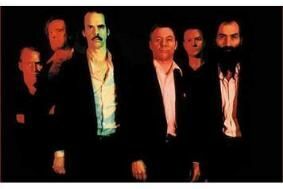 Nick Cave & The Bad Seeds to re-master all albums in 5.1 surround sound | What Hi-Fi? Tender Prey, The Good Son and Henry's Dream, the band's fifth, sixth and seventh albums, will come out on the 5th April after receiving the 5.1 surround sound treatment. The first four studio albums from the band were released in 5.1 last year and signalled the start of the group's plan to release all their studio LPs in surround sound. Not content with the new format, the new releases will also feature acoustic tracks, live tracks and other extras. There will also be accompanying videos released for download.